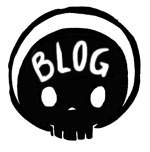 New Skull page up today! And to celebrate, here’s some EXCELLENT Corporate Skull artwork..
Corporate Skull tattoo, courtesy of Marian. Such a buzz to see this, thanks Marian! Alright Ballbags by Stu-toons thanks so much man! And a rather beautiful Skull from Nik Holmes. LOVE IT.